What is Catalina Island Camps? 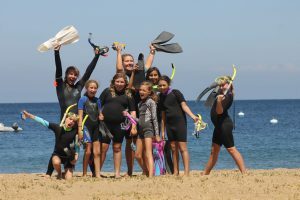 The Catalina Island Camps summer camp program is built around our mission and the unique marine and land environments of Howlands Landing. Boys and girls currently in 1st through 10th grades participate in one to four week sessions. Our program is designed around a two week session and nearly two-thirds of our campers attend for two-weeks or longer. What is the Camp Philosophy and Mission? We believe that the summer camp experience develops every child into a better person, a better student and eventually a better adult. Catalina Island Camps develops life long skills through fun and unique outdoor experiences in a community that cultivates respect for self, others and the environment. A cabin counselor and an activity instructor lead and live with each cabin group. Younger camper cabins may also have a Counselor-in-Training as part of the cabin staff. The staff guide and create the camp experience for up to ten campers. Spirit and camaraderie are high as new friendships are made and each part of the day brings new challenges and opportunities for fun and growth. Campers accomplish these goals by participating in camp activities and being actively involved in camp life. An important part of the CIC experience for every camper is belonging to a cabin group. Cabin groups are the focus of activities, special events and camp life. The cabin group is where campers make friends, help others, share experiences and cooperate in activities. 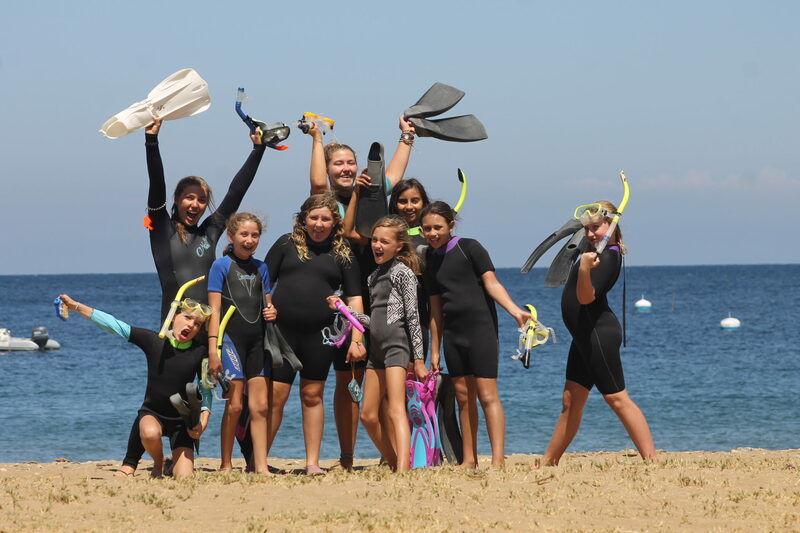 Catalina Island Camps’ staff is dedicated to the safety and growth of each camper. Year after year camp evaluations highlight the importance of staff in a camper’s experience. Staff members are 18 years old & have completed their first year of college or 19 years old. Many of the staff members are college graduates with experience working with children and in camps. All counseling staff is first aid and CPR certified. Waterfront staff is lifeguard trained and all instructors are experienced in camp activities. Recruiting staff is a major part of our off-season work. Each year we have more applicants than we have jobs because of our attractive location and our returning counselor rate. Staff members are screened carefully by the camp directors for experience, skills, character, personality, and leadership ability. Each candidate completes a thorough application, a two-part interview process, and background check. We contact references to confirm the strengths of each applicant. The staff arrives one to two weeks before camp for orientation in CIC procedures, policies, camp activities and counseling skills. Our goal is to build a staff team that works together to provide a positive experience for our campers. Throughout orientation, the leadership team focuses staff on the needs and abilities of campers, on how to work with groups and individuals and on how to deal with situations they might encounter during the summer. What is the history of Catalina Island Camps? Catalina Island Boys Camp was founded in 1922 by University of Southern California football coach, Gus Henderson, on the former sheep ranch of the Howlands Family. For years, boys came each summer for eight weeks. Catalina Island Girls Camp was a separate camp at another location on the island until the 1970s when the two camps merged to become Catalina Island Camps. Today boys and girls come from the greater Los Angeles area, California, Arizona, Nevada and across the United States, Mexico and other countries for fun and friend-filled summers.